After graduating in Computer Science in France, Sylvain won a European Artificial Programming Contest ( PROLOGIN 1996 ) and went to live in the UK. Sylvain has been working in IT Security for over 20 years in various major companies and held quite a diverse number of senior positions which helped broadening his IT Security knowledge as well as project and people management skills. 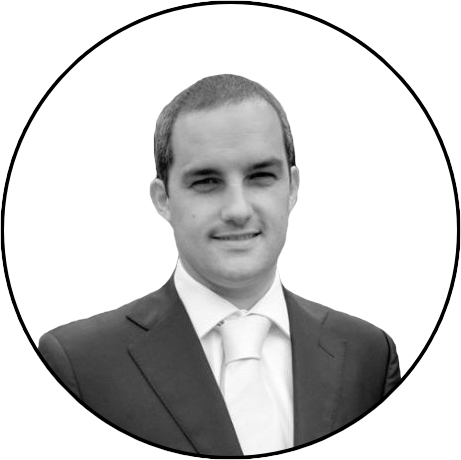 A few years ago Sylvain decided to do an MSc in Information Security while still remaining a full time employee. Sylvain graduated with a merit and was able to work again on his cryptography algorithm as part of his MSc Thesis. Sylvain has recently decided to go back to a more technical role and has been leading the creation of a Red Team and is now a Senior Red Team Consultant and freelancer. Although his current work in the IT Security field does not involve hands on cryptography, his BUGS algorithm project keeps him interested in that field. Each year the French school of engineering EPITA organises a European programming competition called PROLOGIN opened to students. First, a questionnaire about computing is sent to every I. T. University in France and to some European Universities. Only 2,000 of the students who answer the questionnaire are selected for a semi-final. The semi-final consists of several tests against the clock. The first part consists of constructing algorithms and the second part consists of answering general computing questions. Following this, there is a programming test. A very difficult subject is given and the candidate only has 10 minutes to solve it. Even if it is impossible to do that in the time allowed. The aim of this test is to measure the candidate’s reaction in a pressurised environment. The semi-final ends with a 20-minute interview where the candidate has to speak about any topic of any nature. Higher marks are obtained for making the subject matter as interesting as possible. Only 100 students are selected for the final in Paris at the EPITA School. The 1996 final subject was a program similar to a ‘war game’, which controls an army on a playground. The army was composed of very complex soldiers, that were able to move, duplicate themselves, to merge, fight, become suicide bombs, etc. Each soldier had a limited energy supply that reduced proportionally for each action or move undertaken. The soldiers could see an enemy or a friend in up to 10 locations (N, E, W, and S) but they could not see diagonally. The enemies were the soldiers of the other programs. Each application was programmed to communicate over the network. At the end of the 36 hours-programming period the 100 programs fought each at the same time. In essence each candidate had to write the best artificial intelligence algorithm to control the army and to programmatically create and control the different reactions of the soldiers. The 10 students who had created the best applications had an interview with the Director of the school, three members of the organisation and two French company directors. These interviews lasted 15 minutes where the candidate had to explain and defend the algorithm written. The jury then decided the winner of the competition. In 1996, more than 4,000 students participated in the competition. In the final, Sylvain's application finished in first place and after the interview, the jury decided that he was the winner of the Individual European competition of computer science 1996 edition. After the contest, a lot of people asked him for his program's source code, although it is unlikely to interest anyone anymore, links to the source code are provided below.